A-Pro Southwest Ohio home inspector’s goal is to perform the best, most comprehensive home inspections in America. Good decisions and successful home sales depend on educated consumers, and we believe home inspectors play an invaluable role in the process. Through industry-leading inspections, strong communication, balanced reporting and a desire to add value to real estate transactions, A-Pro Southwest Ohio Home Inspection is changing the way people look at home inspections. Put our knowledge and expertise to work for you! The roof coverings primary purpose is to shield the home’s interior from the effects of adverse weather. Your A-Pro SW Ohio Home Inspection inspector examines the roof and reports the roof material type as well as any visible conditions that prohibit the roofing material from performing its job. Your inspector may or may not climb on the roof to inspect it. Drones, telephoto lenses and other improving technologies are being used more frequently when a roof poses safety hazards or may be damaged if walked upon. An attic inspection can disclose significant problems. Although the attic may not be on the buyer’s mind, there are many reasons why it’s one of the most important areas of concern for home inspectors. An attic inspection should not be overlooked because it can tell much about the history of a home. It can provide evidence of potentially significant problems that may not be disclosed by the home seller or even acknowledged by the current occupant of the home. While in the attic, your A-Pro SW Ohio Home Inspection inspector evaluates the structural components of your roofing and framing systems, the chimney, and insulation and ventilation systems. Your inspector will also check for evidence of wood rot, moisture intrusion, fire damage, and the presence of insects or rodents. Accessible attic plumbing, electrical and mechanical components are also evaluated for performance and included in the report. 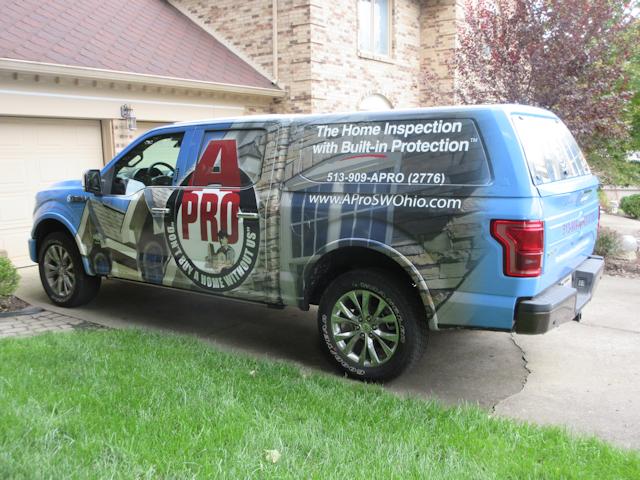 A-Pro SW Ohio Home Inspection ’s exterior systems inspection is a visual examination of the home’s exterior walls. Your inspector evaluates performance issues such as structural support member movement and common installation problems. Because moisture intrusion is impossible to determine if there are no active or visual signs, your A-Pro SW Ohio Home Inspection inspector checks common problem areas for evidence of moisture damage and deficiencies in the flashing. Long before closing, an exterior inspection can let a homebuyer know of potential problems: rotten and damaged siding; water pooling around the home; broken, rusted or damaged gutters; and peeling paint, particularly important (because of lead concerns) in homes built before 1978. Your A-Pro SW Ohio Home Inspection inspector visually examines porches, balconies, decks and carports, understanding that these additions are too often prone to improper installation methods. Our goal is to help prevent costly repairs and accidents caused by potentially unsafe features. These areas are inspected at the visible attachments and for safety issues related to balusters, spindles, rails and stairs. Cosmetic items are not noted in your A-Pro SW Ohio Home Inspection report unless they relate to a more potentially significant problem. Your A-Pro SW Ohio Home Inspection Home inspector examines and reports on the ceilings and floors, primarily focusing on structural integrity and water penetration. Bathrooms and kitchen floors and ceilings receive special attention. Your A-Pro SW Ohio Home Inspection inspector examines and reports on interior and exterior doors. While inspecting exterior doors, your inspector checks weather tightness, lock reliability, glass panes and thresholds. In addition, garage doors are inspected for fire safety compliance as well as personal safety compliance related to automated door openers and springs. Do doors provide privacy and noise reduction? Do doors provide for adequate air flow between spaces? Are doors free from binding? Do the hardware and latching mechanisms work properly? Interior doors that do not operate properly can be an indication of structural movement of the home. Your A-Pro SW Ohio Home Inspection inspector visually inspects the interior walls. Interior walls are generally covered, making insulation, plumbing and electrical items behind these walls impossible to inspect. When examining interior walls, your inspector will be primarily focused on structural movement and installation deficiencies. Your A-Pro SW Ohio Home Inspection inspector visually examines and reports on fireplaces and chimneys. Please note that the inspection does not include testing of the draft. A-Pro SW Ohio Home Inspection recommends that yearly fireplace/chimney maintenance be conducted by a certified professional. In addition, a certified professional should inspect the fireplace/chimney before using the first time. Your family’s safety is a top priority. Your A-Pro SW Ohio Home Inspection inspector identifies and reports all defects in the main service panel and service entrance. It is important to remember that your inspector, while conducting a visual inspection, will be limited as to what can and cannot be inspected. Generally, homeowners are responsible for everything that happens after the attachment to the meter. Air quality and comfort are very important to a home. A properly functioning HVAC system is vital to managing moisture conditions leading to air quality and comfort. Our heating and cooling analysis provides our clients with a written opinion of heating and cooling performance at the time of inspection. A proper functioning system will extract humidity while conditioning your home’s air as efficiently as possible. Your A-Pro SW Ohio Home Inspection inspector examines the unit for its ability to sufficiently heat and cool the home. Primary and secondary pipes and drain pans are also inspected. Your A-Pro SW Ohio Home Inspection inspector understands that efficient operation of a home is important. The U.S. Department of Energy estimates that the typical duct system loses 25-40% of the energy used for heating and cooling. Installations where ducts are routed through hot attics, as is often the case in residential homes, lose significantly more energy. Poorly installed and sealed ductwork can be one of the biggest causes of home energy loss. 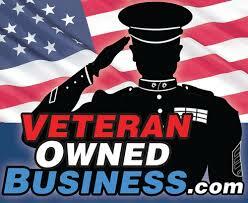 Your A-Pro SW Ohio Home Inspection inspector inspects and reports on the ventilation system. Good ventilation yields a healthier living environment, as it reduces the accumulation of offensive and/or toxic fumes. Inadequately sealed ducts and return registers can allow unconditioned air to enter the system and conditioned air to leak out, significantly affecting comfort and heating/cooling costs. During the visual inspection of the plumbing distribution system, your A-Pro SW Ohio Home Inspection inspector examines and reports on visual cross-contamination connections. Your inspector also checks to see if the type of piping system is protected against damage and has proper support. Much of the gas delivery system is typically concealed from inspection underground, inside walls, under attic insulation, etc. This inspection is restricted to only components that are readily visible and accessible at the time of the inspection. Your A-Pro SW Ohio Home Inspection inspector inspects and reports on the water heater, as well as shares ways to increase its lifespan and improve its efficiency. The report includes the water heater energy source and approximate age of the unit. Your inspector also checks the safety of the unit’s setup and ventilation. Tagged batavia home inspection, batavia home inspector, fairfield home inspection, fairfield home inspector, hamilton home inspection, hamilton home inspector, lebanon home inspection, lebanon home inspector, loveland home inspection, loveland home inspectors, mason home inspection, mason home inspector, middletown home inspection, middletown home inspector, west chester home inspection, west chester home inspector.